ATTENTION ADULTS: Roller Skating is the Perfect Exercise for You! The older we get, the more difficult it becomes to make it to the gym or exercise. But even though it seems to be harder with each passing day, it becomes that much more important to an adult’s health to stay active. Staying motivated to get up and get active can prove to be challenging, and that’s why it’s important to find something that works with your schedule and is also enjoyable. There are many fun activities out there that are great to keep someone active, but our favorite is, of course, roller skating! Here at Skate Moore in Moore, OK, we promote the fun of skating as well as its health benefits. See why you should consider roller skating to help keep you active! Easy to Stick With – It’s important that when you exercise, you find an activity that you can enjoy. Doing an activity you despise to get into shape makes it much easier to slack on. Great Workout in Short Time – Just an 30 minute laid back skate session can burn as much as 250 calories. 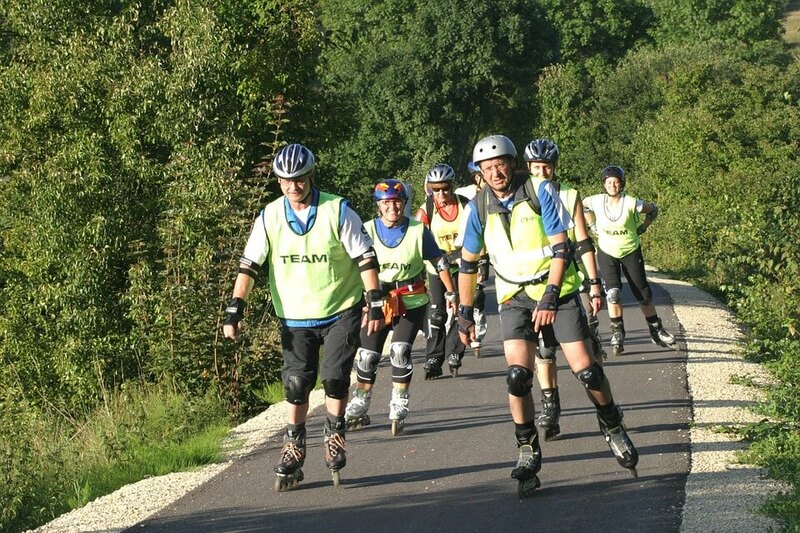 Easy on the Joints – Roller skating has the same benefits as jogging and it is much easier on the joints. It’s no secret that getting older comes with its aches and pains, so it is important to find a low-impact activity to stay in shape. Affordable – Roller skating won’t break the bank either. A gym membership can sometimes cost an arm and a leg, but visiting the rink will help get you into shape with money to spare.